The game is set in 12th century China, close to 1000 years after the events chronicled in KOEI's better-known Romance of the Three Kingdoms, the weak royal court of the Song Dynasty inspired the rise of legendary bandits who proclaimed themselves the bandit kings. The plot is based on the epic Chinese tale, the Water Margin. 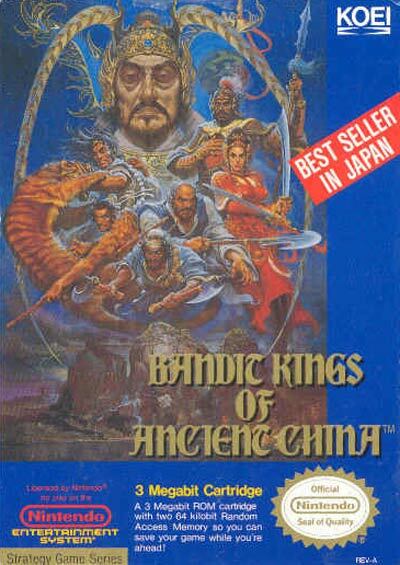 The gameplay is similar in style to that of Romance of the Three Kingdoms, revolving around the recruitment and management of heroes and armies and the capture and development of territories (known as 'prefectures'). It is, however, viewed by some as being more difficult as the player starts out in exile and must fight many stronger opponents. Personnel management and resource allocation are an important part of the gameplay, as the player may only perform one move per month. The game ends if the player is unable to obtain an imperial edict and remove Gao Qiu before 1127 A.D.